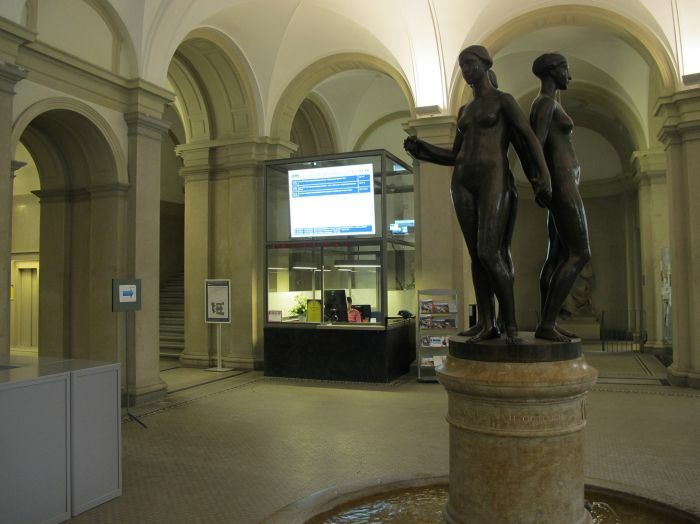 BrightSign announced that ETH Zurich, one of the leading international universities for technology and the natural sciences, has installed 120 XD players in two networks. The players provide signage to direct visitors and staff through the extensive campus and enhance the University’s outstanding lecture theatres. ETHZ, the Swiss Federal Institute of Technology, has more than 18,500 students from over 110 countries, including 4,000 doctoral students. Twenty-one Nobel Laureates have studied, taught or conducted research at ETHZ. It is well known for its excellent education, ground-breaking fundamental research and for implementing its results directly into practice. ETHZ is using 75 BrightSign players to drive a campus-wide digital signage network, and 25 to deliver video and IPTV services to its lecture theatres. The remaining 20 players are located a new Student-Restaurant to show a description and an image of the food being offered. The BrightSign XD1030 and XD1032 players were supplied by BrightSign’s Swiss distributor Media Solutions. The digital signage network players drive Panasonic projectors and 40” / 55” / 65” NEC or Samsung monitors located in reception areas and other public areas to provide information to students, staff and visitors. ETHZ has licensed BrightSign Network Enterprise Edition. Content is stored on the University’s own servers and managed by Communication Officers in each department. The screens display promotional videos, lecture schedules and information on upcoming events. A further 25 players drive projectors in the lecture theatres. They are part of the infrastructure of the theatre, and are fully integrated into the touch control panel in each room. Lectures taking place in one theatre can be streamed live to other theatres on the campus through the players, allowing the University to scale capacity easily for popular events and lectures. They can also be used to play back video content during lectures to support teaching. The University has 85 lecture halls, and is planning to install a BrightSign player in each one. The University has implemented an IPTV service, with 45 channels which are multicast to the players. A few channels are pre-configured on the touch panels in each theatre, and can be selected at any time. During major sporting events such as the Skiing World Cup, the University streams live television through the players into the theatres – a facility that is popular with staff and students alike. The network was designed and installed by Armin Brunner, Head of Multimedia Services at ETHZ supported by Daniel Regli of Media Solutions. It replaces and extends an existing network of Windows-based players.